Sample marketing job description. Marketing responsibilities vary according to industry, level of position and size of company. However these core responsibilities apply to the majority of jobs referred to as marketing administrator, marketing assistant, marketing coordinator or marketing officer. Select the relevant tasks and job requirements for your specific marketing position to create an accurate and detailed job description. Assist in planning, co-ordinating and executing marketing programs to support organizational objectives. Marketing skill requirements are constantly changing as digital marketing platforms evolve. Make sure your marketing job description is aligned to current marketing trends. Today, a successful marketer needs a growing list of new skills. A marketing professional is constantly building and creating digital content. A working knowledge of website creation and relevant coding skills are required for this. A profound understanding of social media is essential. In addition a reasonable grasp of design will add value to a marketer's skill set. Basic graphic and print design knowledge coupled with an understanding of design applications enhances the candidate's value to the company. In the current marketing environment it is important for marketers to develop these skills to remain relevant. Get your resume read. Adapt this marketing cover letter for your own use. Preparing for a job interview? 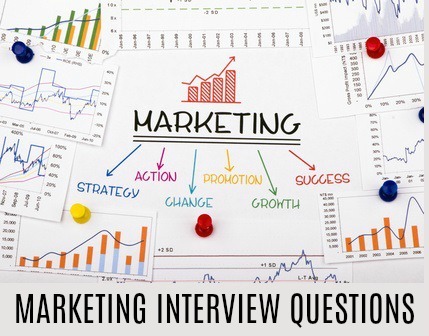 These sample marketing interview questions will help you.